Port Side features the paintings of Laura Waller. 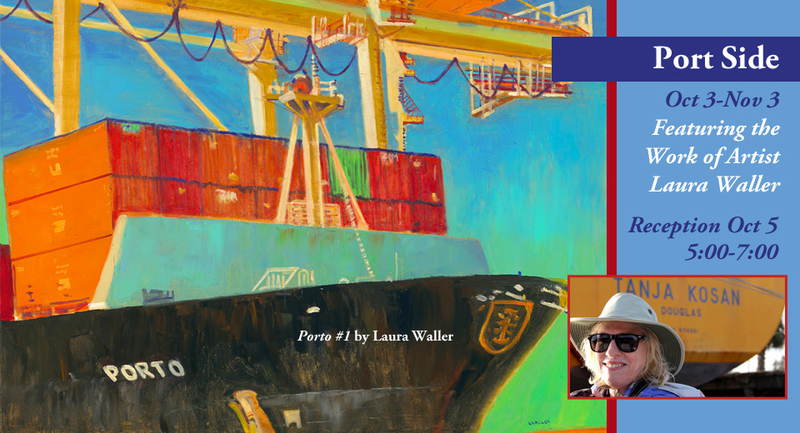 BRADENTON, Fla. Sept 20, 2017 – We bring Laura Waller’s Port Side paintings to ArtCenter Manatee October 3 to November 3, 2017.As a full-time artist, Laura Waller works out of her two studios in Maine and Florida. 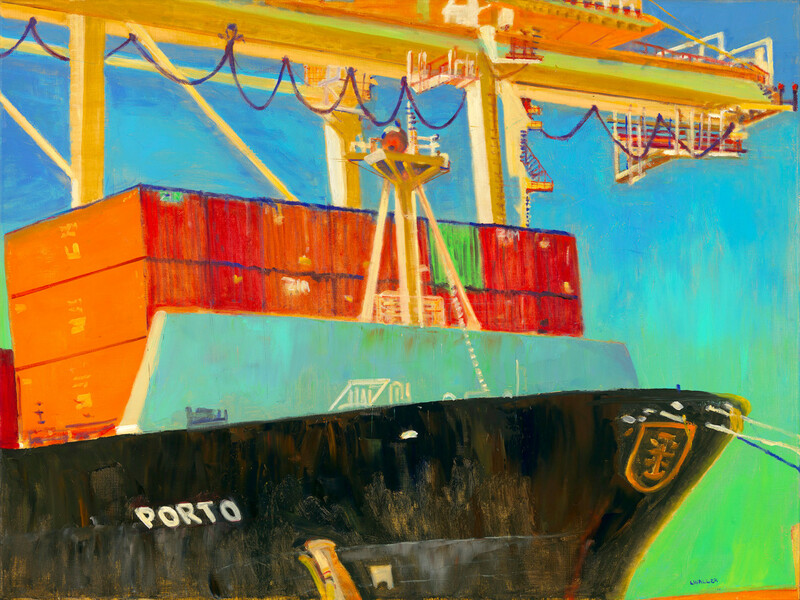 Her Working Waterfront: Port Tampa Bay paintings were featured in a solo exhibition at the Clayton Galleries in Tampa. Her Working Waterfront: New Work paintings were featured in a solo exhibition at Elizabeth Moss Galleries in Maine. New paintings from the Port Side series were featured in a solo exhibition at Clayton Galleries in Tampa.Waller was awarded the Arts Council of Hillsborough County 2016 Individual Artist Grant in 2016. Her paintings are collected by individuals and corporations nationwide. Born in Brooklyn, New York, Laura Waller received her undergraduate and master’s degrees from Newcomb College and Tulane University in New Orleans, LA. Concurrent with studies in sociology, psychology and social work, she developed a passion for art and art history. There will be an opening reception for the show on Thursday, October 5, 2017 from 5-7 p.m. The reception and exhibits are free and open to the public. Founded in 1937, ArtCenter Manatee celebrates its 80th Anniversary this year. Located in downtown Bradenton, Florida, ArtCenter Manatee is the premier center for art, art education and unique gifts in Manatee County. The nearly 10,000 sq. ft. building features three galleries, five classrooms, an Artists’ Market gift shop and an art library featuring over 3,000 art volumes. Day, evening and weekend art classes for adults and children are offered year round in painting, drawing, pastels, pottery, jewelry, photography and more. The Artists’ Market features unique, affordable gifts by local, regional and national artists. Exhibitions in the galleries change monthly and showcase local, regional and national artists. Meet the exhibiting artists at the monthly evening opening receptions. For more information please call 941-746-2862 or visit http://www.artcentermanatee.org. ArtCenter Manatee is located at 209 9th St W, Bradenton, FL, 34205. Hours are M/F/S 9 a.m – 5 p.m. and T/W/Th 9 a.m. – 6 p.m. Closed Sunday.